If one thing is clear, is that Nintendo’s Super Mario Maker proves that designing video game levels can be as much fun as playing them. The game features an intuitive level editor that’s colourful and fun to use, effectively turning the level-building process into a game. You can place Goombas and other enemies, as well as platforms, trampolines and other structures in seconds, and have a fully functional level up and running in minutes. And while using the editor with the Wii U’s touchpad is a joy, there’s a real sense of accomplishment when getting to share your creations online and receiving positive feedback from friends, for instance. 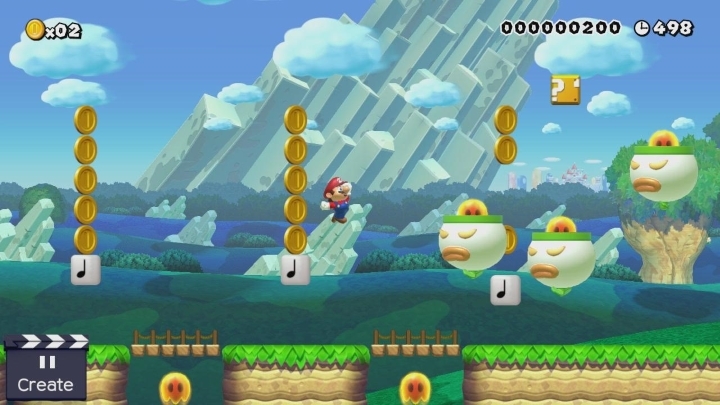 The game comes with a series of prebuilt stages in the 10 Mario Challenge for players to enjoy and play around with in the editor, but the community has already come up with high quality levels that wouldn’t be out of place in an official Mario game, and other weird creations like a bowling game and side-scrolling shooters, proving that Super Mario Maker is another Nintendo masterpiece and one of the best games you could play in 2015.